FRITH, HARRY L., JR. Age 85. November 7, 2013. Mr. Frith was a kind, giving, loving man. He served his country with honor during the Korean War in the Air Force. 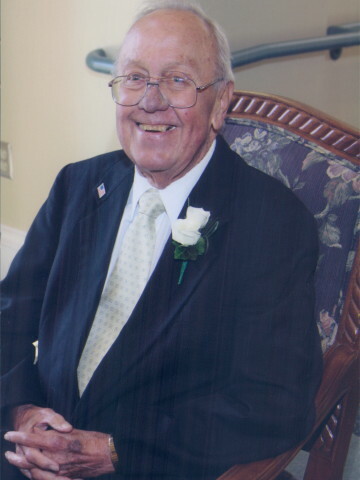 He was a very active man in the community as a member on the board of Hendersonville Chamber of Commerce, a Charter Member of the 100+ Club and a member and former deacon of the Hendersonville First Presbyterian Chuch. Preceded in death by his wife of 44 years, Peggy Frith; parents, Harry L. Frith, Sr. & Ella Rebecca Pickard Frith; son, Harry Linwood Frith, III Survived by his children, Laura Hamilton (Gary) & Lisa Epley; grandchildren, Derrick Hamilton (Suzy), Brittney Epley, Blake Hamilton & Alisha Epley; loving companion, Pat Parker; former son-in-law, Bob Epley; several extended family members and friends. 2 Comments to Harry L. Frith, Jr.
Harry was one of the first people I met when we moved to Hendersonville in 1972. He got us involved in helping put out political signs for several years for a variety of candidates for city and county offices and helped us get acquainted with people we have known for over 40 years. I always enjoyed Harry’s company and his positive outlook on life. He will be missed. Harry was a kind and generous man who made a positive impact on our community. He helped make Hendersonville what it is today. He gave us his support and love.We will miss our dear friend and keep him in our hearts forever.